The Acer Liquid Jade S is Acer's new mid-range smartphone. It's positioned as a promising product of the “value proposition” type, which offers pleasant design, snappy hardware, a sizeable 5-inch display, a 13MP camera, dual-SIM & LTE connectivity, and many practical software features – all that at about half the price of current high-end Android smartphones! You won't be wrong to ask “excellent, but what are the caveats?” - so go on with our review. We will explain. Sleek and pleasant in a calming, mildly understated manner. This is how we'd describe the Liquid Jade S' design, and those are words you'll rarely hear for a budget device! It's not the build materials that make this smartphone special, though. It's the curves! The Jade S has an intensely rounded body comprising two layers. It starts with a non-removable plastic back panel of decent quality - sturdy, carefully sculpted, with a smooth, matte finish. The pleasant surprises don't end here - Acer topped off the smartphone with curved glass, which completes its liquid, flowing appearance. The layers are held together by a thin chrome frame. Speaking of thin, the Acer Liquid Jade S is 0.3-inches (7.78mm) thick and it's light as a feather at 4.09oz (116g). The thickness may not sound very impressive on paper, but the _phone_ flaunts a hidden trump card - its beveled edges make it feel thinner than it actually is! And with compact dimensions of 5.53 x 2.72 x 0.30 in (140.5 x 69mm) to complement its build quality, the Liquid Jade S feels pretty well in the hand. On the top edge of the phone, you'll find a 3.5mm audio jack, while the volume buttons are positioned to the right. They are not of good quality - it's a small plastic stripe that never feels quite right under your fingers. It lacks the clickiness to make it feel responsive enough, and the “Vol -” key tends to get stuck at times, which is a major flaw. The “+” key has been made slightly convex as to let your finger recognize it more easily. 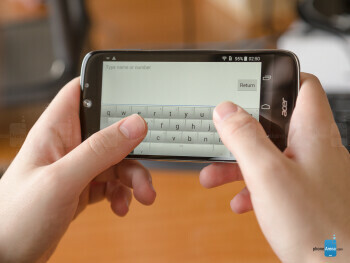 Acer also had the good intention of making the central area of the volume keys double as a two-step camera shutter. Unfortunately, the stripe's mid-zone, where your index finger is supposed to land while taking a photo, is small and non-reliable. It's too easy to press the “Vol +” or “Vol -” buttons by mistake, rather than the “shutter” key, potentially ending up with a failed photo. On the bottom, there's the inevitable microUSB port. 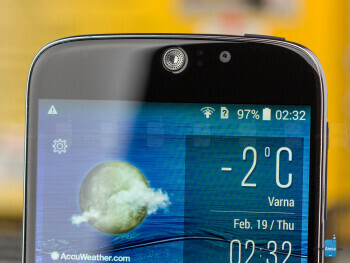 The left side houses a dual-SIM slot, which carries either up to two nanoSIM cards, or one microSD card and a single nanoSIM card. It's one or the other - you can't have two SIM cards and an external microSD card in place simultaneously. Above the display, you'll find Acer's typical earpiece, which oddly looks like a miniature shower drain; along with a pair of light & proximity sensors, and the front camera. On the back panel, there are the aforementioned camera with a single LED flash, and a mono loudspeaker. Decent viewing angles and brightness, but poor image quality. The Acer Liquid Jade S sports a 5-inch IPS LCD display with a 720x1280 resolution and a pixel density of 294 pixels per inch. 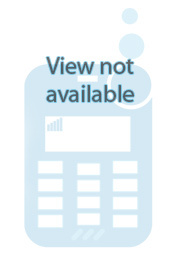 One would certainly expect better image quality of a screen with such parameters. Unfortunately, the picture looks somewhat jagged, as if there's always something wrong with it. That, the poor minimal brightness level, and the slightly colder colors are the meaningful problems to report here. Otherwise, the maximum brightness and viewing angles are great, which ensures comfortable visibility under most conditions. However, that curved glass layer is quite reflective, so don't expect miracles under direct sunlight. Android 4.4.4 KitKat packed with no-nonsense functionality. The Acer Liquid Jade S runs Android 4.4.4 KitKat, which isn't the latest operating system release, but it's reasonably up to date. On top of it, Acer layered a custom skin and a sizeable portion of additional functionality. The launcher itself is pretty decent - it's lightweight and packs many useful widgets, while the oceanic built-in wallpapers do the "Liquid" part of the phone's name justice. In addition, the Liquid Jade S packs some no-nonsense, practical functionality. In the app switcher menu, you'll find two pages of customizable shortcuts leading to mini-apps. For starters, you can launch a navigation keys sidebar, notes, mini-camera, mini-Google maps, a calc, a memo app, a stopwatch, and a browser. These are super convenient, and will save you from wading through cluttered app drawers and home screens. One thing we're particularly fond of is the ability to put a shortcut to a widget, which will execute it as a mini-app! This means you can “float” your favorite widgets in movable, minimize-able windows. Another software treat is the Acer Portal, which contains an app suite - 'abPhoto', 'abVideo', 'abMusic', 'abDocs', and 'abFiles'. These apps are cross-platform and are integrated with Acer's "Bring Your Own Cloud" service, which makes it easy to sync work and multimedia files between the smartphone and your personal computer. There's a Sytem Doctor app for optimizing your memory and storage use. And then, there's the 'Acer EXTEND' app, which lets you view and control the Liquid Jade S's screen from your computer. The final highlights are the 'Scheduled power on & off' setting' (self-explanatory), and the 'Quick Touch' gestures. These let you unlock the smartphone, play music, open the camera, or make a call by drawing a letter on the display while the phone sleeps. 'Quick Touch Unlock', in particular, allows you to unlock the device without reaching for the power key, but you'll have to get used to the gesture before it becomes a true "tap to wake" kind of solution. Very good benchmark, usage and gaming performance. Acer's mid-range flagship presents a respectable spec sheet. It's powered by a 64-bit 1.5GHz octa-core MediaTek MT6752M processor working in tandem with a Mali-T760MP2 graphics unit and 2GB of RAM. There are 16GB of expandable built-in storage. In benchmarks, the Liquid Jade S proved itself a reasonably capable player. Acer spec'd the smartphone fine, opting for a potent MediaTek chipset that makes it run quite well. It's safe to say playing recent games, even demanding ones such as Unreal Engine-powered titles, won't pose a problem. LTE Cat. 4 and dual-SIM, with a catch. 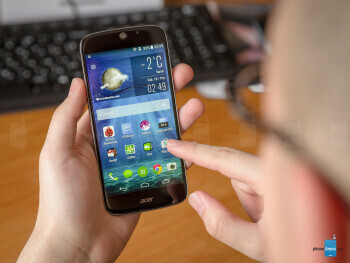 The Acer Liquid Jade S is 4G LTE Cat. 4-connected. It's also a dual-SIM device - with a catch. 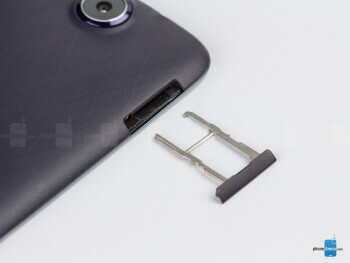 The SIM slot can house either a microSD card and a single nanoSIM, or up to two nanoSIM cards. In addition, the Jade S supports HSDPA+ (4G) 21.1 Mbit/s, HSUPA 5.76 Mbit/s, EDGE, and GPRS connectivity. It also has built-in GPS. The stock browser is Google Chrome, which is familiar to anybody, although there's another one available for use if you wish. Either way, the smartphone is speedy enough to let you browse comfortably, navigating, zooming, and panning your way through the world wide web. 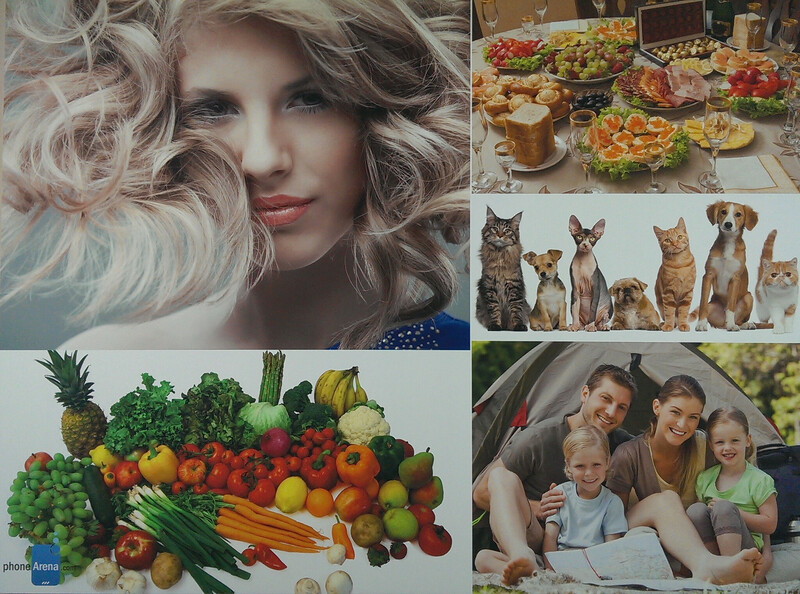 Acer's photography app is comprehensive, but the 13MP camera exhibits average photos and bad-looking videos. Acer's camera app is rather comprehensive. It has all the effects, filters, and camera modes laid out in an organized menu that's easily accessible while you're holding the phone portrait or landscape-oriented. Auto, HDR and Panorama aside, the capture modes include Beautification, Best Shot, Bright Magic (for taking brighter photos in low light situations), Smile Shutter (smile and the phone takes a picture), Picture With Sound, Multi-angle view (a 180-degree panorama with a moveable slider), Presentation mode (useful for snapping slides with added notes during a meeting), Dual Shot (photo taken from the main and front cams simultaneously), and Gourmet (for Instagramming meals). In addition, the camera app lets you tweak Brightness, Contrast, Hue, and Saturation before taking the shot. 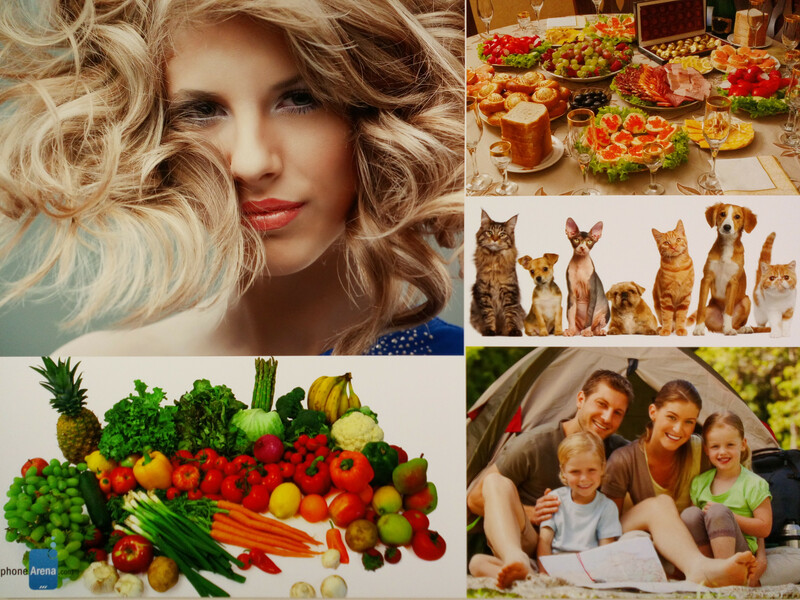 There are also four image filters, with more available from the Android gallery's built-in editing tools. Onto the hardware! The Liquid Jade S features a 13MP main camera with auto-focus and single LED flash. We don't know for sure which sensor runs the house, but the image quality is middling. 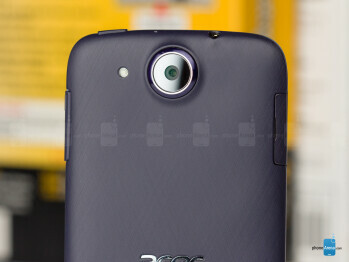 Acer hasn't managed to tune the camera to come up with sharp, or color-accurate photos – in fact, they are rather grainy, with a fair amount of noise in zoomed-in images. As for color reproduction, the red and purple hues are overrepresented, ending up with the typical purple tint that haunts budget smartphone cameras. And as with all digital cams, the less light you have on disposal, the more smeary your photos will turn out, which becomes particularly noticeable with the Liquid Jade S. But in gloomy weather, the light-soaking HDR mode might just lead to a decent shot. Speaking of low-light situations, the single LED flash, which accompanies the camera, is limited in its ability to illuminate objects in the dark. But as you can see from the indoor samples, it will suffice. For shooting videos, the maximum resolution you can go for is 1920x1080 pixels. Unfortunately, 1080p videos recorded with this phone are below the norm. As for the 5MP front camera, it doesn't really have what it takes to land that perfect selfie. Backgrounds become a blurry mess and the colors are all over the place, but for video chatting and casual selfies, the front snapper is okay. A muted pair of speakers completely ruins the experience. The Liquid Jade S is another Acer smartphone that features audio enhancements designed by DTS Inc. As respectable as this may sound, the feature doesn't seem to shine in either loudspeaker or headphones output. We can't describe the audio reproduction as decidedly better than other smartphones in or outside of the Liquid Jade S's price class. Moreover, output from the Acer Liquid Jade S' single loudspeaker is very quiet. This will be problematic for all situations involving listening to the loudspeakers – you may miss a fair bit of ringtones. Fortunately, headphone output is sufficiently loud, although the bundled earbuds - well designed and comfortable as they are - have poor sound quality. As for video content, the Liquid Jade S plays 1080p DivX, H.264, MPEG-4, and Xvid encoded video files without a hitch. You can use either the stock Android player, Acer's abVideo app, or your favorite third-party video player. The Liquid Jade S will make you strain to hear anything. With an earpiece as quiet as thus one, you won't be enjoying great calls, and you will miss ringtones in noisier environments for sure. Voices are clear enough, but the output is simply too low! You will really have to stick the handset close to your ear to be able to make up anything. If you own a headset, you'll be good to go, but normal everyday talks will be a problem, unless Acer does something for that muted pair of speakers! The smartphone lasts a work day, but it could last longer. It could also be a bit faster to charge. The Acer Liquid Jade S lasted 8 hours, 32 minutes and 46 seconds in our battery test. This is a decent result, although one would expect it to last even longer due to the frugal 720p display and the sufficient 2300mAh battery. But it seems that fast MediaTek octa-core chipset likes to sip on battery juice. Either way, the smartphone is rated at 6 hours of talk time and 250 hours of standby time. The battery is not user replaceable, and charging it to 100% takes a long 2 hours and 42 minutes with the included charger. 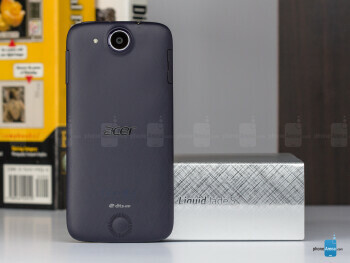 The Acer Liquid Jade S is a smartphone with evident strengths and weaknesses. 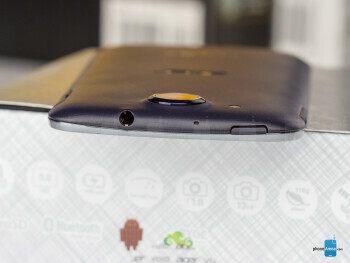 For starters, its design qualities are above average. 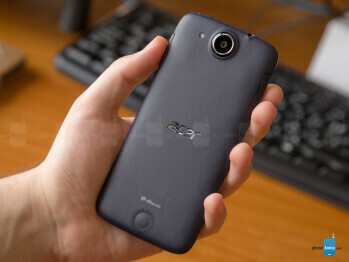 Its graceful body feels thin, light, sturdy, and very comfortable, although the back panel is on the slippery side. Meanwhile, the curved glass layer is straight-up premium tier! Moreover, the Liquid Jade S is reasonably fast and feature-packed. It runs on recent hardware and software. It also has good battery life. Unfortunately, its photo and video capabilities are underwhelming, despite its 13MP camera sensor and well-rounded camera app. Finally, due to its low earpiece and loudspeaker output, the Jade S fails at the basic task of being a reliable phone! 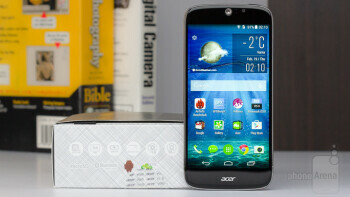 The Acer Liquid Jade S will be sold in the Europe, Middle East, and African region at $330 (299 EUR) unlocked. We don't know whether Acer plans on launching it in America. In this price range, Europeans have a wide choice of competing devices that outclass the Liquid Jade S in most categories. One could simply pick an older flagship like the LG G2, Sony Xperia Z1, HTC One (M7), Z1 Compact, or the Samsung Galaxy S4 at about the same price, and set themselves with a noticeably superior experience.. In these circumstances, the Acer Liquid Jade S seems poorly situated on the market, and practically begs for a price cut to stand a chance.